Do you ever know exercise bikes? Is an exercise bike a good form of exercise? Convenience and removing barriers to getting your workout started are often the most important step you can take in being successful in reaching your exercise goals, and this is why stationary bikes are an optimal option for almost anybody. 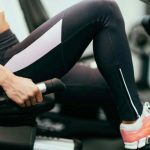 2 Can you lose weight on an exercise bike? 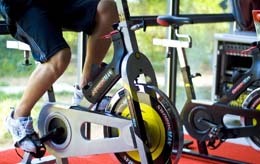 4 How much do exercise bikes cost? Probably the most important aspect in choosing your exercise format is selecting an activity that you will actually do. After all, exercising only works if you do it. Convenience and removing barriers to getting your workout started are often the most important step you can take in being successful in reaching your exercise goals. Hence, the popularity of the home exercise bike. Don’t like the weather or air quality? Stay inside and use your bike. Don’t want to go to the gym? Stay home and use your bike. Experience joint or other pain with higher-impact exercises? Using an exercise bike is lower impact, taking the pressure off of your aching joints. First, you might be wondering, what kind of exercise can a stationary bike provide for me, and why does it matter? It’s widely known that regular exercise can help prevent many diseases such as heart disease, Type 2 diabetes, cancer, and stroke. Like traditional cycling, a stationary exercise bike can provide cardio and aerobic exercise, burning calories, strengthening the heart, and strengthening the large muscle groups in the lower body. 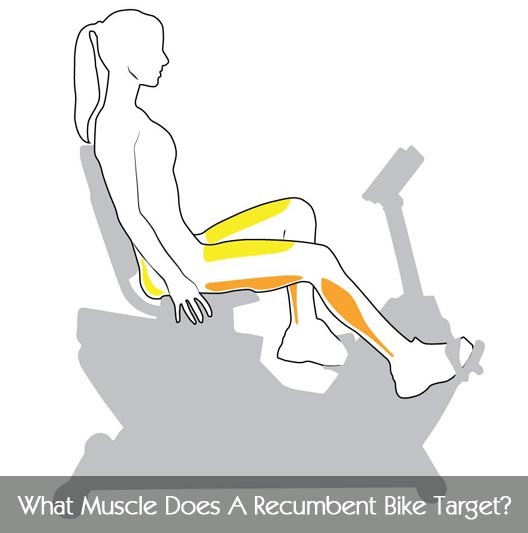 Which muscle groups are worked depends on several factors, including the use (or not) of toe-clips, the height of the seat and handlebars, whether the bike is upright (vertical) or recumbent (reclined/horizontal). 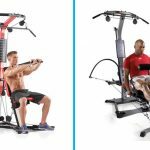 Once you have determined whether you will be using an upright or recumbent bike, you will have a few options in varying which muscles are being worked on and adjusting your bike to meet your own needs. A lot of us often avoid going outside to exercise because of weather or air quality. For the typical person, it is too cold, wet, or too hot, can deter us merely because of the unpleasantness, or the worry of getting sick, dehydrated or overheated. Those with breathing conditions such as asthma can have even larger concerns, such as the cold air triggering an asthma attack. Air quality may also be an issue, depending on the severity, and our own health situation. Being able to exercise indoors on an exercise bike removes these worries. Instead of risking poor outdoor conditions, we can confidently exercise in a more controlled environment. Many people have gym memberships that they never use. This can be seen in the typical gym’s business model, in which they retain way more members than they are able to accommodate because they know many won’t come in. For example, one popular gym chain has about 6,500 members per location, while most of those sites can only hold about 300 people. It might be a matter of simply getting out of the house, to the gym, which prevents them from going. Sometimes, it’s a concern over appearance, worried about not looking like they fit in, or about not looking fit while trying to get fit. Arranging transportation might be difficult. Also, all this prep takes additional time, adding to already busy schedules, and making more of our “exercise time” involve activities other than exercise. Being able to stay home and use an exercise bike makes it much easier to fit exercise into our busy schedules, thus more likely we will actually do it, and reap the cardiovascular and other health benefits of regular exercise. Where the stationary exercise bike stands out from other home-gym equipment is in its ability to help us achieve a cardio workout while also being low-impact. Many people need low-impact exercises. Arthritis, injuries, aging, or simply carrying extra weight are all common causes of joint and other pain when being active. This often stops us from exerting ourselves, especially as we become more fearful of making it even worse. Being able to sit down shifts our center of gravity, and takes some of the weight off of our legs and feet. Having our feet constantly in contact with the pedals also removes the impact of something like running or jumping. Can you lose weight on an exercise bike? Having a stationary exercise bike to use at home is probably one of the best steps you can take toward reaching your weight-loss goal. Not only have you removed the barriers to exercise described above, but now you can get that calorie burn that you need in order to reach the necessary calorie deficiency. 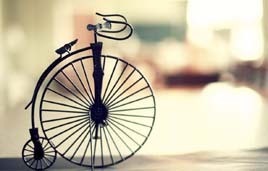 Like traditional outdoor cycling, riding your exercise bike is generally considered a moderate aerobic activity. Regular aerobic activity helps you to lose fat around your waistline and elsewhere. In order to achieve the level of exercise needed to burn this dangerous, visceral fat, you should ride your exercise bike for at least 30 minutes, five times a week, for a total of about 150 minutes a week of cycling. Beginners definitely need to make sure that they confer with their doctor or another medical professional regarding what workout and equipment setup will be best for their situation, especially taking into consideration any injuries or other health issues. If the goal is weight-loss, then combining workouts with a proper nutrition plan to balance their nutrient intake and achieve the necessary calorie deficiency will also be important. The Interval Workout – varying between high, medium, and low-intensity segments, there are many versions of this. One popular type is the HIIT workout. Several versions can be found in this self.com article. Heart-rate Workout – Use a heart rate monitor to check that you are exerting yourself just the right amount to maintain your heart rate within your target range. This usually will be between about 60-70% of your maximum heart rate. 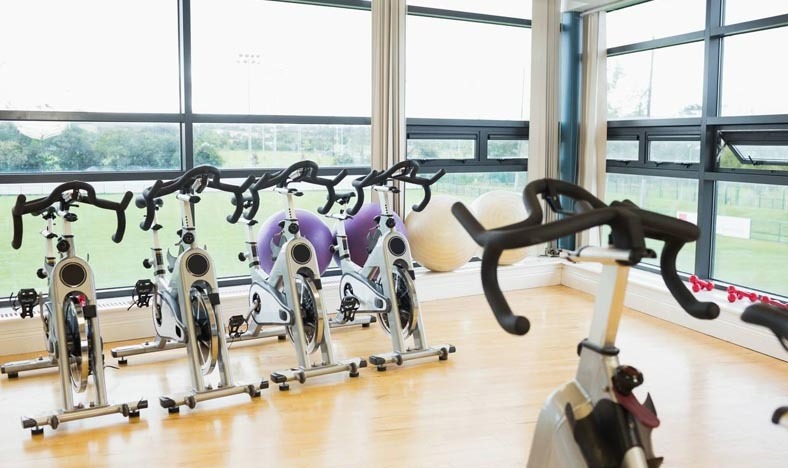 How much do exercise bikes cost? According to Consumer Reports, the cost of a new exercise bike can range anywhere from $200 to $2000. Like anything, you generally get what you pay for. However, there are a lot of options today in monitoring, controls, and even entertainment and virtual reality effects, which can vary the price considerably, and may be more or less important to some. To start, you should consider whether you want an upright (vertical) or a recumbent (horizontal) exercise bike. While the primary consideration is what your own body needs, the size of your available space can also be determinative. An upright bike will take up less space than a recumbent one. When lined up for a direct comparison within the same brand and general features, recumbent bikes tend to run slightly more expensive than upright ones. However, there is enough variation across brands, such that you can find either within a given budget. Comparatively, elliptical trainers, which are another relatively low-impact option, run a few hundred dollars more. The classic of home-gym cardio equipment, the treadmill, is even pricier. To help you choose the exercise bike that’s right for you, we’ve compiled a list comparing a few of the best options. Exerpeutic 400XL Folding Recumbent Bike – starting at $149.00, has a weight limit of 300 pounds, and a space-saving folding design. At the time of writing, each of these was available from Amazon. However, there are many options, so make sure to determine your specific needs. If you have been looking for a convenient and effective, lower-impact workout option, then make sure to consider stationary exercise bikes. The options and features are multiple and varied and can fit in just about any budget. Moreover, it will quickly save you money compared with paying for a gym that you will likely never attend. An exercise bike is an excellent, simple investment in your long-term health. By having this exercise option in the comfort of your own home, you can remove the barriers preventing you from achieving your weight loss or other health and fitness goals, better controlling your time, productivity, and cost. Ultimately, as you lower your risk for such life-threatening illnesses as heart disease, diabetes, cancer, and stroke, it will pay itself off several times over.